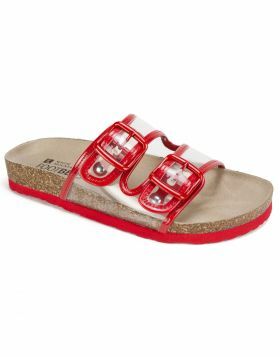 Go big in the Harlow genuine leather double strap slide sandal with exaggerated brass buckles by White Mountain shoes. 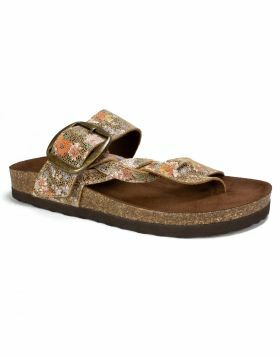 The molded suedette footbed with heel cup hugs your foot with every step you take. Each strap is adjustable so your foot remains in the most comfortable position as you go about your day. 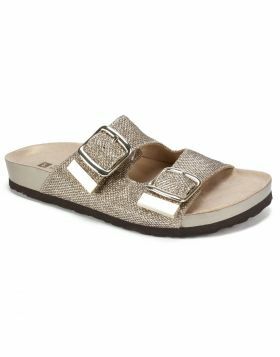 Go big in the Harlow genuine leather double strap slide sandal with exaggerated brass buckles by White Mountain shoes. 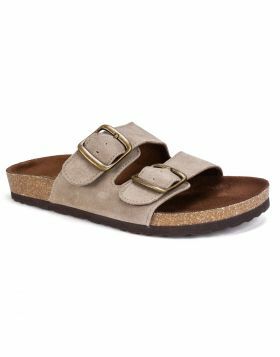 The molded suedette footbed with heel cup hugs your foot with every step you take. Each strap is adjustable so your foot remains in the most comfortable position as you go about your day. Heel height: 1 inch.